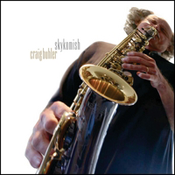 Pacific Northwest coast sax player Craig Buhler has put together a really nice album here. Most of the tunes follow the standard bop format: the theme is stated by the ensemble and then the two horn players, and the pianist takes solos around the chord changes before returning to the theme to close out the song. The format may be standard, but the playing is not; these guys are good, solid pros who know their way around their instruments. 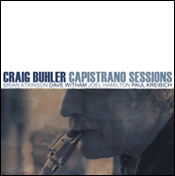 Buhler and his cohorts also knew if they varied the instrumentation, the Capistrano Sessions would be more flexible, unpredictable and rich. 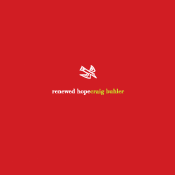 Both of the horn players double: Buhler himself plays alto and tenor saxes and clarinet, while Brian Atkinson moves from trumpet to flugelhorn and, on occasion, the vibes. 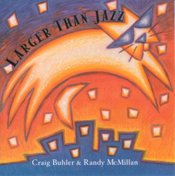 Most of the Capistrano Sessions is accessible jazz, but it never degenerates into the “light jazz” that causes so many people to install CD players and satellite radios in their cars so that they can hear the real thing. Capistrano Sessions is the real thing.